Recently I have been looking into Kuching in the eastern Malaysian state of Sarawak on the island of Boreno. So far I am very impressed. Kuching is the capital of Sarawak with a population of 600,000. Malaysia’s portion of Borneo is about the same size as peninsular Malaysia. As an added bonus Kuching is also know as cat city (Kucing is cat in old western Malay, I read, though from what I have found it may be more likely the city got the name from the Chinese word for port (“cochin”) coupled with the Malay name mata kucing (cat’s-eye) for the longan fruit, a popular trade item. Kushing is a popular point for tourists to use as a base for visiting the Borneo rain forests full of many wonders one of which is the orangutan. Kuching is the largest city in Borneo and the 4th largest city in Malaysia, after Kuala Lumpor, Penang and Johor Bahru. Langkawi offers some great beaches and food. The roads are also something I wouldn’t be scared driving on, unlike Penang where I don’t think my driving skills are good enough to avoid accidents. 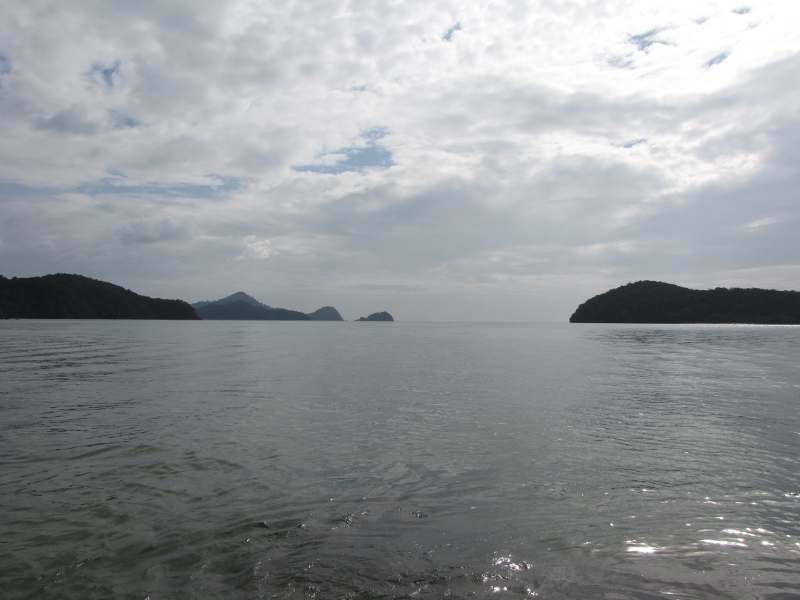 The photo above, is from one of the wonderful beaches on Pulau Langkawi (the largest Langkawi island) looking out to the Ocean.